Canada’s identity as a northern nation has largely been shaped by the Group of Seven’s depictions of an uninhabited Canadian North. But an exhibit at Ryerson’s Modern Literature and Culture (MLC) Gallery is attempting to break down this northern narrative, which it says disregards Canada’s Inuit communities. A collaboration between the MLC Research Centre and Dorset Fine Arts (DFA), Re-Locating the Canadian North features artwork by Inuit artists presented side by side with works exploring the Group of Seven. According to Emily Pleasance, a Ryerson master’s of communication and culture alumna and one of the curators of the exhibit, placing Inuit art “in dialogue” with the Group of Seven is meant to highlight the “real North” and challenge past visualizations of how the Canadian North has been portrayed. After her first trip to Nunavut in 2017, to conduct research for her master’s thesis on the Canadian North, Pleasance was struck by how different the Nunavut experience was from her perceptions of what the North would be like. According to Gammel, the exhibition, which she helped Pleasance curate, was a natural fit for the MLC Gallery because of the way it showcases works of marginalized groups. With the gallery focusing more on Inuit stories, Gammel said she was particularly eager to highlight Pleasance’s research. Born from this intrigue, Re-Locating the Canadian North was launched last month featuring a collection of original Inuit art provided by DFA — the marketing division of the West Baffin Eskimo Co-operative. 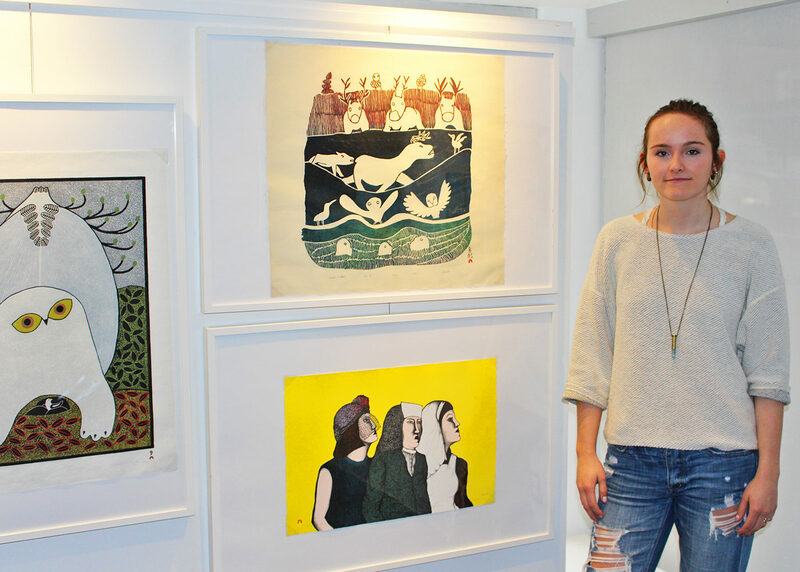 Located in Cape Dorset, Nunavut, the co-operative provides financial resources to the community by purchasing works from local artists and distributing them to galleries around the world. William Huffman, marketing manager at DFA, spends much of his time building awareness of Inuit art. Introduced to Pleasance through a mutual colleague, the two curated the collection of works to be featured in the exhibit. The final product includes an assortment of traditional and non-traditional sculptures, texts and prints that explore various themes, such as colonialism and oppression. But these themes, said Huffman, are presented in a subtle way that lets viewers make their own conclusions about the work and its meanings. The Ryersonian attempted to connect with an artist in Cape Dorset, to hear about these challenges and how they shape their work, but was unsuccessful. Having visited Nunavut and then working closely with Huffman, Pleasance was able to learn these contexts and challenges. But, she said she didn’t just want to sit back and absorb the Canadian North. 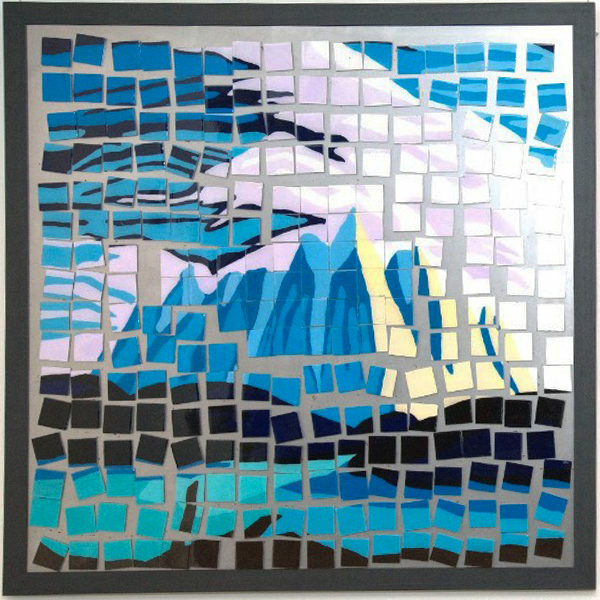 So, in contrast with the Inuit art, Pleasance featured her own creative project — a series of 70 resin cubes, each hand-painted with motifs and landscapes characteristic of the Group of Seven. A laborious process, Pleasance spent more than two months pouring and painting the resin, and more than 100 hours sanding the pieces. According to Pleasance, the cubes, which are meant to be toys, encourage viewers to engage with the Group of Seven in ways they hadn’t before. Still feeling like there was something missing, Pleasance created a second series of cubes, made from soil sent over by a friend in Iqaluit. 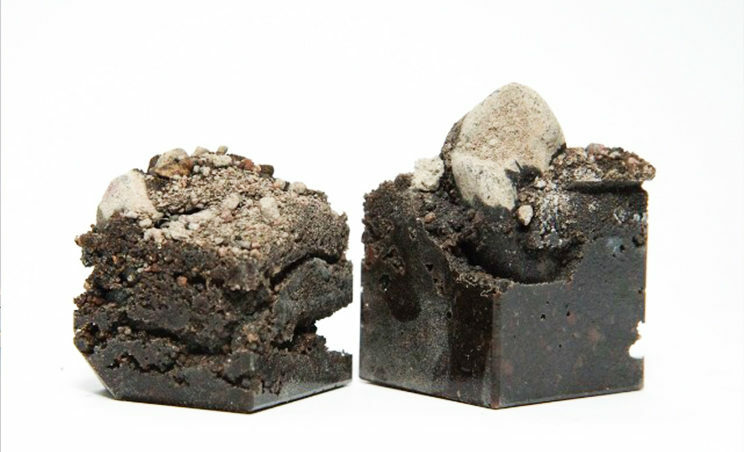 She said these soil cubes, which are a visual contrast to the resin cubes, are meant to remind viewers that the North is real, not just an artistic depiction. Given the significance of these consequences, Pleasance decided to sell the soil cubes and donate all proceeds to the Nunavut Kamatsiaqtut Help Line — a service that provides telephone counselling to northerners in crisis. Pleasance stresses the importance of this decision, hoping to provide some support, however small, to the people of Nunavut during the ongoing suicide crisis. While there’s not one single problem or solution, Pleasance said she’s hopeful this contribution can help in some small way. She’s also hopeful, as are Huffman and Gammel, that Re-Locating the Canadian North can start to elucidate the real northern narrative, which many people won’t get to experience for themselves. Re-Locating the Canadian North: The Modernity of Inuit Art and the Group of Seven is running at the MLC Gallery, located at 111 Gerrard St. E. It runs until Friday, Dec. 21. The gallery is open to the public Tuesday to Friday, from 12 p.m. to 4 p.m.